A cataract is a clouding of the lens inside the eye, causing vision loss that cannot be corrected with glasses,contact lenses or corneal refractive surgery like LASIK. As frightening as cataracts might sound, modern cataract surgery usually can restore vision lost to cataracts — and often can reduce your dependence on eyeglasses as well. Most cataracts are associated with the aging process and are common among older Americans. In fact, according to the National Eye Institute (NEI), 68.3 percent of Americans 80 and older had cataracts in 2010. And the prevalence of cataracts in the U.S. is expected to grow significantly in the years ahead, due in part to the aging of the population. In 2010, roughly 24.4 million Americans had cataracts, and that number is projected to grow to 50.2 million by the year 2050, according to NEI. Thankfully, modern cataract surgery is one of the safest and most effective surgical procedures performed today. More than 3 million cataract surgeries are performed in the United States every year, with the vast majority of these procedures produce excellent visual outcomes. 1.Non-knife femtosecond laser LENSX Surgery. 3.Alcon Aspheric single focus second generation yellow soft artificial water crystal. 4.Postoperative care and Maintenance Group. 3.Alcon aspheric Yellow Soft artificial water crystal with multi-focus. What are possible side effects of cataract surgery? So far there is no eye drops or maintenance of food can prevent or treat cataract, although the market has anti-cataract syrup, its function is mainly in delaying the cataract, if the cataract, visual function has affected daily life, it is necessary to consider doing cataract surgery, is currently the only effective treatment. When will I need to have the cataracts removed? Visual impairment has affected the life or quality of the individual and it can be used as an operation. If there is a concept that the cataract is ripe for reopening, there will be complications of cataract overgrowth – crystalline glaucoma. Is there any complication of cataract surgery? Cataract surgery has a long history, clinical experience has been very rich, physicians skilled surgery skills, the risk of complications is very low. Cataract Surgery Common Ultrasonic emulsification, use point of eye drops way to anesthesia, so this type of operation will not have pain, and the wound also do not have stitches, can reduce the foreign body feeling and the removal of the pain after surgery, recovery faster, the day of surgery can return home. Although senile cataract cannot be prevented effectively, but when out of the sun can wear anti-ultraviolet lenses, and more intake of antioxidants in deep green and dark yellow fruits and vegetables, vitamin A, C, E, to avoid smoking, can reduce the chance of cataract production or evil, protect the eye to avoid collisions or puncture wounds, No use of alcohol containing the eye drops or drugs, diabetes and hypertension should be good control of blood sugar, blood pressure, can reduce the occurrence of other types of cataract. Does the artificial crystal you put in the experience not cause rejection? What is it made of? No, our hospital supplies are using imported products, both by the Department of Health and FDA approved the use. Is Cataract Surgery Covered by Health Insurance? Give your insurance company a call and talk to a representative to get more information.In most cases the cost of treatment is covered by health insurance plans. However, the type of surgery and lens you choose may raise the cost of your cataract treatment. Your insurance may not fully cover these advanced types of IOLs. Most often, insurance offers to pay the cost of a conventional IOL, and the patient is responsible for paying the difference. Contact your health care provider for more information about cataract surgery. 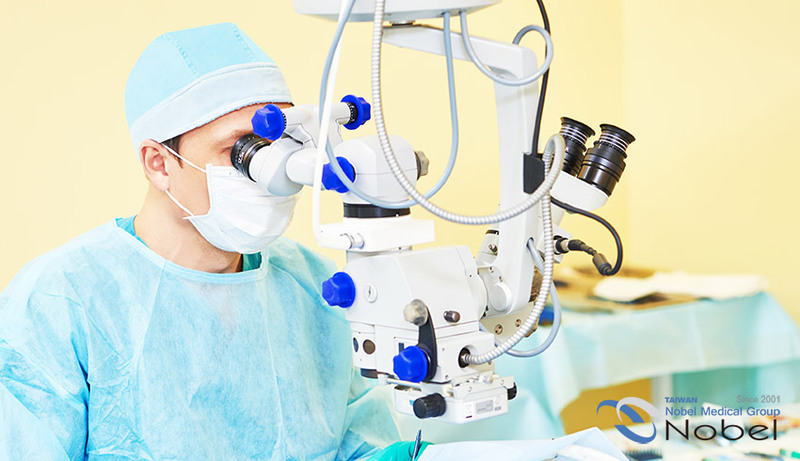 How long approximately does a cataract procedure take? It takes around 10 minutes to complete one eye. The duration, however, may be longer or shorter, depending on the condition of cataracts of each patient. After the opening to eat more of that kind of things to fill the eyes? A balanced diet with more lutein supplements needed to replenish the eyes. Are cataracts visible from the outside? The pupil of a patient with severe cataracts appears to be yellow or white. Nevertheless, generally speaking, detailed diagnoses by a professional eye doctor are required for patients with cataracts in order to have a precise idea of how turbid the artificial lens is.